Rice, palm oil, SOY BEAN, salt, flavor enhancer: E621, E635. May contain traces of PEANUTS and NUTS. Rice crackers & soy beans = happy combination! In "Izakayas", the Japanese taverns, our RICE NUTCOOKIE would be awfully missed. A classic snack, unconventional and by no means dull. Adapted to the Japanese snack culture, but cosmopolitan and ready to be discovered! This pure salt cracker convinces with its crunch and the flavour of fine roasted soy beans. Imported directly to Europe, we warmly recommend these little crackers. Test your discerning palate and enjoy this fat-free roasted snack that will win you over with its taste and attractive appearance. Delicious cookie with a marvelous mix of crunchy, salty and yummy, while it doesn't hurt you figure. That's the general features of a rice cracker. Our RICE NUTCOOKIE in particular is much more than just a regular rice cracker. 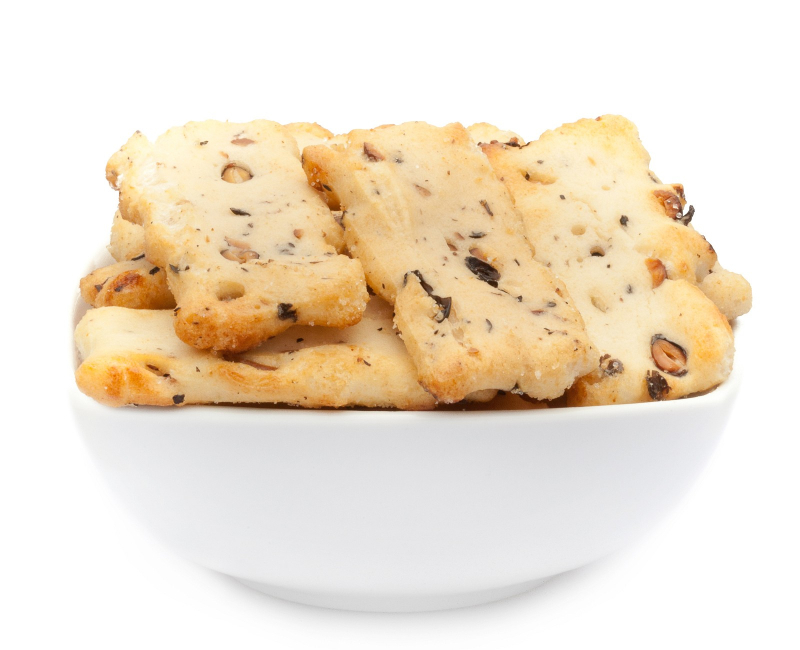 With its fine layer of pieces of soy beans and its curvy shape this cracker is a real eye-catcher. And the taste of this cookie has everything a good rice cracker needs: a fine hint of rice rounded up with the pleasant flavour of soy beans, a decent crunch and just a pinch of salt. Itadaki-masu! Our slightly salted RICE NUTCOOKIE is the classic among the Japanese rice cookies. Roasted fat-free this cracker is even good for your figure. The exceptionally fine aroma of the gently roasted soy beans contributes to the delicious taste experience that you will have enjoying this mild cracker. Ideally, you should boost this experience with a home-made dip, such as guacamole or fluffy-whipped cream cheese. In between times, they will thrill your palate and tongue and fill your stomach. All in all, our RICE NUTCOOKIE is a snack you won't be able to keep your hands off of!